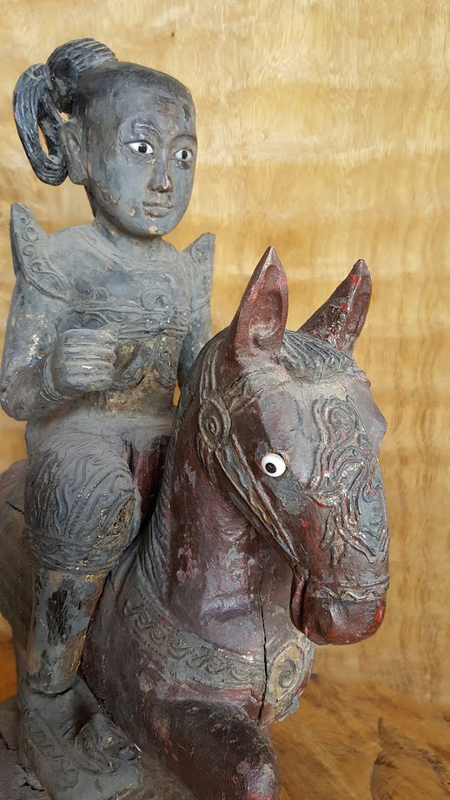 Multi color painted carved teak 'Nat' figure mounted on horse with reverse painted glass eyes. 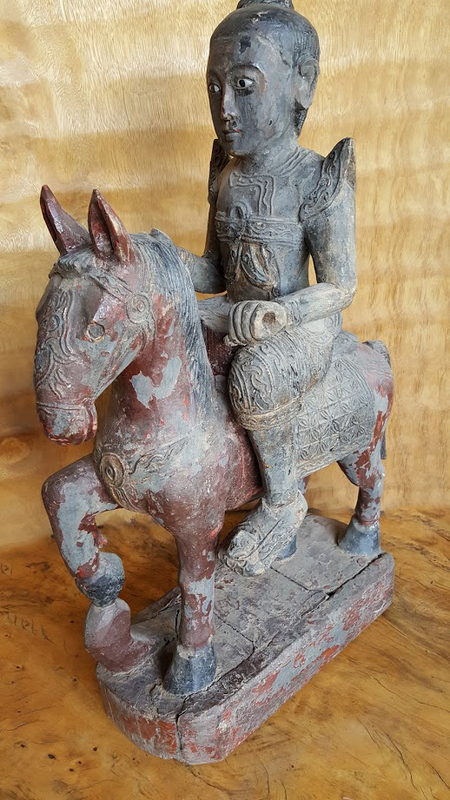 Nats are mythical creatures in Burmese folklore and religion. 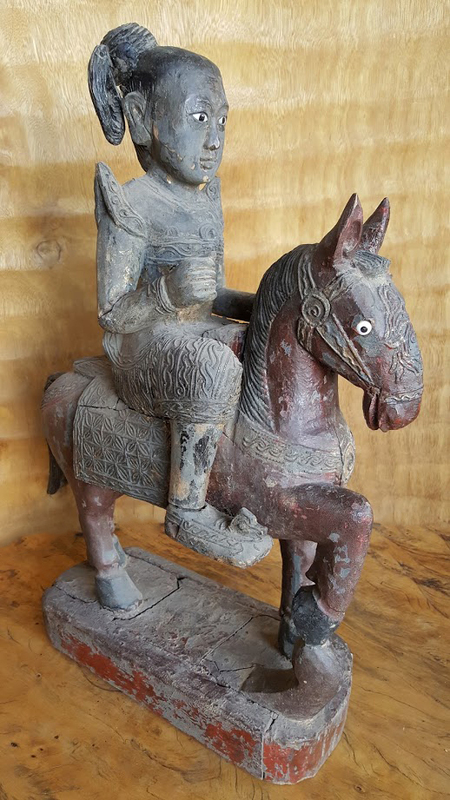 These "spirits" are also worshipped in Myanmar in conjunction with Buddhism. They are divided between the "37 Great Nats" and all the rest of the spirits of trees, water, soil, mountains and etc. 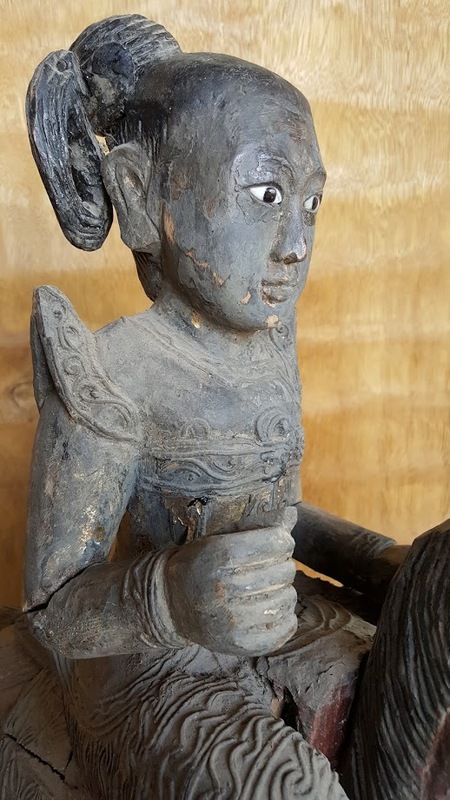 Burma is one of the most devoutly Buddhist countries in the world, but its indigenous tradition of nat worship is still going strong to this day. A variety of religious practitioners are associated with the animistic beliefs that spirits exist and may live in all things. 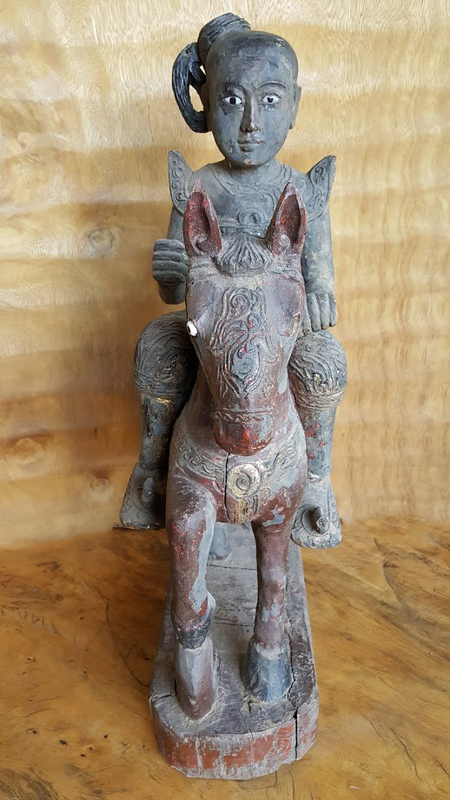 Animism is the religious belief that objects, places and creatures all possess a distinct spiritual essence. Animism is the oldest known type of belief system in the world that even predates paganism. It is still practiced in a variety of forms in many traditional societies. 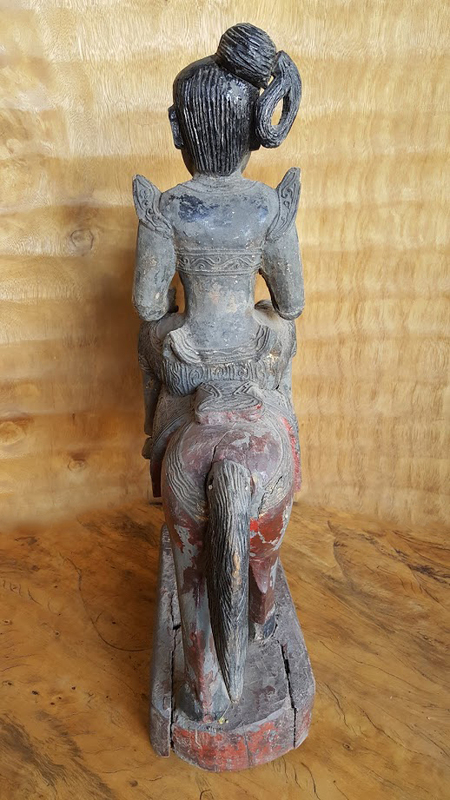 This particular nat figure was acquired in Burma several year ago and dates from the turn of the century (early 1900's) and stands 29" tall, is 10" deep and 23" wide.